It was recently announced that the all ages ADE-show by Hardwell and the Metropole Orkest taking place on Thursday 18 October at the Amsterdam Ziggo Dome during ADE is sold-out. Clubbers who have not been able to buy a ticket but who would like to witness Hardwell perform one last time can follow the concert in real-time via the official live stream on his multiple social media channels. In China there will be a 3 hours registration, with exclusive backstage content and the support act of Real El Canario, broadcasted on HUYA on Friday the 19th. 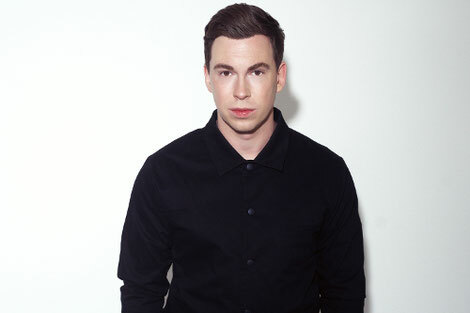 'Symphony: The Global Revolution of Dance' is for the time being the final performance by Hardwell, who recently announced he will stop performing indefinitely. In 'Symphony: The Global Revolution of Dance', the DJ, together with one of the world's leading pop and jazz orchestra, will take the audience on a musical journey through the history of dance music. The all-ages show of the DJ and the Metropole Orkest is characterised by the composition of different music periods, from the ‘80s to the tracks of today. Hits from various artists pass by, from Donna Summer to Tiësto, from Carl Cox to Daft Punk.